This once magnificent building fell derelict for some time and burned down in 2003. It used to be a popular venue for all sorts of social conventions. Like many facilities in Llanhilleth it was built, in 1905, to accommodate the rapid growth in the local population, which itself was caused by the rapid growth of industry in the area. 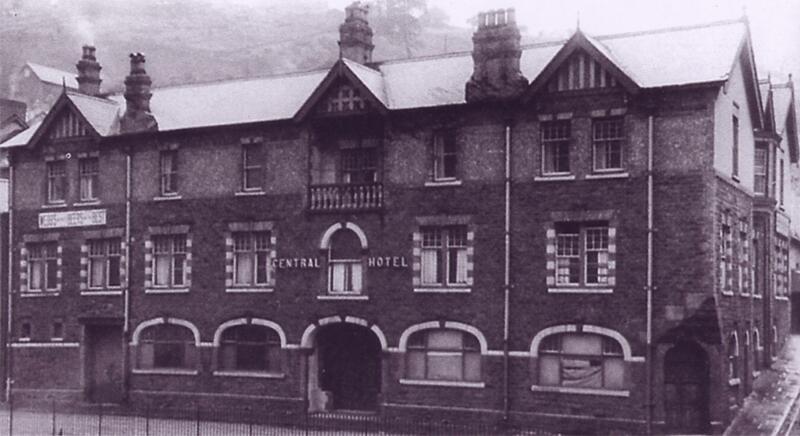 Cardiff architect Telford Evans designed the hotel, and it was built at a cost of £6000. Albert Simmonds was the first recorded landlord.